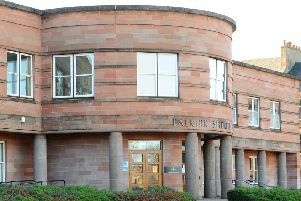 Further education students in Falkirk need to be on the alert for scammers trying to fleece them through fake tax refunds, says Her Majesty’s Revenue and Customs (HMRC). HMRC says this is the largest direct attack on students it has seen, with thousands of fraud attempts being reported in just a few weeks across the UK. Criminals are using seemingly legitimate university email addresses (for example ‘@uc.ac.uk’) in order to avoid detection. Financial Secretary to the Treasury, Mel Stride MP, said: “HMRC will never inform you about tax refunds by email, text or voicemail. “If you receive one of these messages it is a scam. “Do not click on any links in these messages, and forward them to HMRC’s phishing email address. “It is vital that students spot the signs of fraudulent emails to avoid falling victim by following HMRC’s advice. HMRC-related e-mail scams often spoof the branding of GOV.UK and well known credit cards in an attempt to look authentic. The recipient’s name and email address may be included several times within the email itself.